Here is how to buy foreclosed home and save BIG MONEY! Buying a home is, for most people, the largest investment of their lives. You want to make sure that you make well informed decisions, so that you get the best deal for your money. Foreclosures are a great way to find a nice property for less money. You may have heard that finding, and how to buy foreclosed home is a difficult, painstaking process. Although, on occasion, this might be true, for the most part, this is simply not the case. If one knows how to go about it, it can be easier to buy a foreclosure than buying a privately owned home. And, you can often times buy a foreclosure below market value, sometimes WELL below market value. I have, as a HUD approved real estate agent, helped many clients buy HUD foreclosures, and almost always found them a great deal. I will tell you exactly what you need to know in order to save you thousands, and give you built in equity on your next foreclosure home purchase. How to buy foreclosed home is about to get real. There are two distinct types of foreclosures. Government foreclosures, and Bank owned foreclosures. I will cover both of these foreclosure types. Government foreclosures include: HUD, Fannie Mae, Freddie Mac, VA, and USDA. I will touch on all of these, with an emphasis on HUD, and Fannie Mae, as these make up the bulk of the available government foreclosures on the market today, as well as, make up the majority of my experience, and expertise. Bank owned foreclosures or REO’s(Real Estate Owned): These include banks, mortgage companies, and other lender’s properties that have been foreclosed on as a result of default on the loans granted against these properties. HUD is aligned with the FHA – Federal Housing Administration. The FHA, as a federal agency, insures home loans with lenders against default, in order to make it easier for lenders to make loans, buyers to secure loans, and, as a result, makes it easier for buyers to purchase properties. FHA loans have lower down payments, usually 3.5% of the purchase price of the home, and also allow up to 3% of the purchase price of the home to be used for the buyer’s closing costs, keeping the buyer’s out of pocket expenses needed for a home purchase low. Here are the steps to how to buy foreclosed home. Step 1. Have cash reserves. A good rule of thumb is to have at least 15% of the selling price of the home you want to buy, in ready cash. If you know how to buy foreclosed home, you will also know how important it is to have cash reserves. I am often surprised by how many people think that how to buy foreclosed home requires little or no money. Although there are some programs that can help first time home buyers with down payments, and another that can help some buyers with closing costs, the fact remains you must have cash or other liquid assets you can quickly convert into cash to buy a home. And, it doesn’t matter if it is a foreclosure, or if it is a privately owned home, there is always some cash required. How much cash will you need? That will depend on the percentage of down payment that your lender requires, and the closing costs that are charged to you. There can also be other fees, and expenses involved with home buying, such as taxes, insurance, home inspections, repairs needed to pass inspections, utilities, local and municipal fees, moving expenses, etc. Not to mention expenses for furniture, lawn equipment, and any upgrades you may want to make on the home. A good rule of thumb is to have at least 15% of the selling price of the home you want to buy, in ready cash. My intent here is not to discourage you from buying a home, quite the contrary, but rather to save you, and others involved, disappointment, and time in the home buying process. Step 2. Become pre approved for a home loan. The next thing you should do, no matter whether you intend to buy a foreclosure, or a privately owned home, is to become pre approved for a home loan. How to buy foreclosed home may depend on your ability to qualify for a loan. Most sellers now require a pre approval letter, or a proof of funds, if you are paying cash, along with an earnest money deposit, to be submitted to the seller, along with any written offer. This pre approval process is usually free to you, and it will benefit you in many ways. You can usually be preapproved within 2 business days. Most real estate agents won’t show property to a client that doesn’t have the pre approval letter, or proof of funds in hand. Also, by being pre approved, you will know exactly the dollar amount that you can afford, and can begin your home search in earnest based on this number. This will save you, and your agent time, and it will save you disappointment from looking at, and wanting to offer on homes that you can’t qualify for. Having your pre approval in hand will also allow you to move quickly with an offer, which could separate you from any competition for a home that you like. What do lenders look for regarding pre approvals? Lenders want to see a minimum credit score of 620. They take the middle score of the 3 major credit reporting agencies. They also look to see if you have had any bankruptcies, repossessions, or foreclosures in the last 3 years. This time period can vary some depending on the severity of the bankruptcy. A series 7 bankruptcy takes longer to recover from than a series 13 bankruptcy. You also must be at least 2 years out if you have had a short sale. Lenders also look to see your work status, and work history. They want to see at least 2 current years of continuous employment, ideally with the same company. It is ok to work for different companies, but it should be in the same type of industry. If you are self employed, lenders want to see at least 2 consecutive years of proof of income from your tax returns. Lenders also look at your debt to income ratio. Again, this can vary, but lower debt, and higher income is ideal. The amount of the preapproval you will receive is directly related to your income. 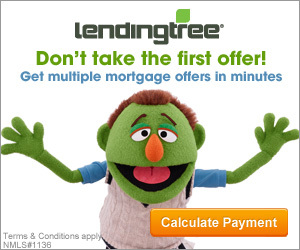 Obviously, the more money you make, the easier it is for you to make mortgage payments. If you are serious about buying a home, a pre approval letter, or a proof of funds is a must have. In the case of a HUD foreclosure, HUD requires a pre approval letter, or a proof of funds, and an earnest money deposit to be submitted along with any winning bid. It is also a good idea to find out if the lender you intend to use has experience dealing with HUD properties. HUDs can present a few hurdles, and knowing how to handle these can make a difference to you. Although this is not a prerequisite, it is a very good idea, and can save you, your lender, and your realtor time, and many headaches. Step 3. Find and hire a good HUD approved Realtor. A Realtor that is experienced with foreclosures can be worth their weight in gold. Again, regardless of the type of home you want to buy, you should find, and hire a good real estate agent. A good real estate agent is worth their weight in gold. By simply telling your agent what you are looking for, where you are looking, and your price range, they can do most, if not all of the leg work for you. By utilizing the Multiple Listing Service, other real estate websites, and armed with knowledge, and experience in the areas that you would like to live, they provide a very valuable service to you the buyer. They can find homes based on your criteria, email the properties to you so you can preview them, set up showings around your schedule, explain the features of the home, and guide you through the entire buying process, which can be daunting for a non professional. Realtors can tell you what comparable homes in the area have sold for recently, and they are up to date with other market trends. Be sure you check to see that the realtor you want to use is HUD approved before you hire them. Step 4. Understanding the HUD process. The more you learn about HUD’s, the more you earn. Now that you are armed with your preapproval letter, or proof of funds, and your HUD approved Realtor, you can set about the process of finding a HUD home. If you choose, you can leave the HUD process up to your Realtor, but it is a good idea to know the HUD process yourself, so you can understand it, and as a way to be sure your Realtor is doing everything possible on your behalf. HUD works on a sealed bid process. This means that no one, including your agent, knows if there are any other bids on the property, or what the amount of any bids may be. When HUD first lists their home for sale, HUD will accept bids for 10 days, and will award the home to the highest bidder, the first business day after the bid deadline date, assuming that the bid is at or above HUD’s minimum acceptable price. If the home is not awarded after the first 10 days, HUD then begins a daily bid period, which means that HUD will look at any bids that come in at the end of every business day, and award the home to the highest bidder, assuming that the bid meets the minimum acceptable price. This minimum acceptable price can vary, but it generally runs around 10% below the asking price. The first 15 days are open to only what HUD calls owner/occupants. This means that the winning bidder must live in the home for at least 12 months prior to selling it. Exceptions can be granted for certain unforeseen situations such as a death in family, job transfer, etc. After this initial 15 day period, HUD opens up the bidding to everyone, including investors. HUD lists their available homes on a website called Hudhomestore. Most of what you need to know about how to buy foreclosed home – HUD homes is covered on this website. Once on the hudhomestore site, you should see a map of the US. If not, click the Home button on the top menu list. Once there, click on the state that you live in on the map of the US. To narrow down your search, fill in the appropriate boxes in the Search Properties area. You can also narrow your search further by adding other search criteria in this Search Properties area. Once you have narrowed your search to include any criteria you desire, a list of homes with pictures will appear. Along the top of this list, you will see criteria, starting left to right with a picture of the home, and property case number. The property case number is hyperlinked, and if you click on it, a new page with Property Details about that particular home will appear. In addition to the price and address, you will then see more information on this home, including number of bedrooms, number of baths, square footage, etc. There are normally additional pictures of the home, which can give you a better idea of the amenities, and condition of the home. This is an important consideration of how to buy foreclosed home. HUD also has an inspection performed on it’s properties. You can find the inspection, called the Property Condition Report, or PCR, by clicking on the Addendums tab for each individual property. This is helpful in knowing the condition of the major systems of the home, and can be used to help determine the current market value of the home, and the amount you may want to bid. Don’t forget! HUD homes are as-is! You cannot negotiate repairs into your offer. You must evaluate what the repairs needed will cost before you make your bid. Some HUD homes need a lot of work, some need a moderate amount of work, and some need very little, if any work. I have even seen some HUD homes that are move in ready. You will also have the option of having your own inspection performed. HUD gives you 15 days from the date of the accepted contract to have your own inspection performed. Although you won’t be able to use the results of the inspection to reduce the price of the home, your own inspection will enable you to back out of the deal if it uncovers issues with the home that the HUD inspection didn’t reveal, and you can’t live with. By scrolling to the bottom of the page of the Hudhomestore website, you will find in depth information regarding buying HUDs. Simply click on the hyperlink of the category you are interested in, and you will be taken to a page with more in depth information on that topic. How to buy foreclosed home becomes easier at this point. Step 5. Selecting, and bidding on HUD homes. Once you have selected the HUD home you like, you can place a bid through your Realtor. Remember: HUD foreclosures are as/is! HUD will not make any repairs on the home. What you see, is what you get. Be sure to take this into consideration when evaluating the home’s worth, and the amount you want to bid. By utilizing the hudhomestore website, you can easily find homes in areas you want to buy, that fit most, if not all of your buying criteria. Simply tell your HUD approved realtor the HUD homes you are interested in, and he or she will set up, and accompany you on the showings. Once you find the home that you like, and want to bid on, you tell your realtor some basic information, name, address, social security number, phone number, marital status, and the amount you want to bid on the home you have selected. Your realtor will then take this information, and place the bid for you online. Because HUD works on a sealed bid basis, your realtor won’t know if there are any other bids, or how much any other bids are for. A good realtor though should be able to give you an idea as to approximately what price the bid should bring based on comparable values, amenities, and the home’s overall condition. HUD normally will not even consider a bid that is more than 10% less than the listed price. You can ask for up to 3% of the accepted price towards your closing costs. Keep in mind though that HUD will reduce your bid by this amount, and it could affect your chances of winning the home bid if you ask for closing costs to be paid by HUD. HUD will also lower the listed price of a home that has been on the market for more than 30 days. I have seen this happen right at 30 days, and for other homes, a lot longer. It pays to keep your eye on the homes you like on the hudhomestore website, as a 10% price drop can mean many thousands of dollars of difference, and if you bid on it the same day the price is dropped, you may win the bid before others even realize the listed price was reduced. Depending on the bid status of the home you are bidding on, whether there be a set bid deadline, or on a daily bid schedule, you will find out the following business day whether or not you won the bid. HUD may, at it’s discretion, send a counter offer, or an amount they will accept for you to win the home. This is all done through your realtor. It is then up to you, the buyer to accept or reject the HUD counter offer. If, and when you do win the bid, HUD will notify your realtor. HUD then gives you 48 hours to provide a recent pre approval letter from a lender, a proof of funds, an earnest money deposit, usually $500 or $1000 depending on the price of the home, in the form of a cashiers check (which you can get from your bank), and signed paperwork which your realtor will present to you, and then send in to the designated HUD Asset Manager. It is the Realtor’s responsibility to collect all of this information from you the buyer, and send it into the HUD Asset Manager. After the Asset Manager receives the package, they will go over everything to make sure it meets the HUD requirements. If it does not, the realtor will be notified, and told what more is needed, or what may need to be changed. Once everything is approved, and signed off on by the HUD Asset Manager, the realtor will be notified and sent a copy of the approved contract. Copies of the contract are then sent to the lender, the listing agent, and the Title Company, and the process can move toward closing. Normally it takes 45 days to close a HUD home purchase with a loan, and 30 days for a cash purchase. So, as you can see, buying a HUD home is a relatively simple process, as long as the HUD requirements are followed to a T. This should be no problem with a good HUD approved Realtor, and a lender with experience dealing with HUD/FHA. Now you know how to buy foreclosed home. Click on the links below for more info. Buying a HUD foreclosure is a relatively simple process. Wow you have packed this post full of some very helpful and useful information. I have heard of buying in on foreclosed homes. But like you mentioned I was one of those people who thought it would be a very difficult process which is why I avoided it. I am glad you have shown me different now. I have to say I love the fact that you included that it does take some money to get started with this. And I see that you said 15% of the selling price is a good estimate. Thank you for sharing that with us. This way I have a better idea of what money needs to be saved. Thank you again for all of your help. I see that you help people to undestand better the process and the resources to buy a foreclosed home ! Many thanks for the comment. I appreciate the well wishes. Great post on how to buy foreclosed homes, I think if someone has a little extra reserve it is a good investment, even for first time home buyers, if they are willing to put in the time to fix the house up a little bit, they’d get a good price on it and turn it in a decent home. Found this post very helpful, gave me a few tips myself. Thank you. I don’t mind getting into real estate. That’s a good niche. There is a lot of os competition in that. This is an interesting article on how to buy foreclosures. It would seem like a foreclosure would be an excellent opportunity to get a good deal on what is typically a very large investment. And yet, I’ve heard from several investors in my area that it’s very difficult to find a good deal. It seems that when individuals are facing foreclosure and losing their home, they experience a good deal of anger. My understanding is that many people become destructive and deliberately do extensive (and expensive) damage to the property when forced to leave. I’m curious; have you witnessed this type of behavior? Hi Linda, thank you for your comments. Yes, I have witnessed this type of behavior many times. Sometimes the damage left has been serious, other times, not so much. Most people that are being foreclosed on, accept the circumstance, and don’t disrupt the condition of the property, but about 5% of the time, there is evidence of an unhappy camper. There are good deals to be had with foreclosures, but with an improving market, there tend to be fewer foreclosures, and less real estate inventory in general. Add competition from other investors, and it takes study, and diligence to find the best deals. Hi Tom. Thank you for a very informative article. Buying forecloses can definitely go a long way in saving cash when you buy a home. With the recent surge of so called disruptive technologies, property investors have seen introduced to a new model of making extra income via Airbnb. In coupling the great strategy which you have outlined above, along with the Airbnb model, I think that investors stand to make a good penny by snapping up these distressed assets. My only concern however relates to refurbishing costs as many foreclosures tend to require renovation and repairs. In placing a bid, does the HUD realtor assist in estimating and negotiating appropriate discounting values for these extra costs?